Web wallet company BitGo has secured $12 million in venture funding, a show of strong investor support for its multi-signature security service for Bitcoin. Venture funding was provided by several different investors, including actor Ashton Kutcher and hedge fund manager Peter Thiel. BitGo aims to be the first successful startup to provide easy-to-use, impenetrable Bitcoin wallets with multi-signature security. 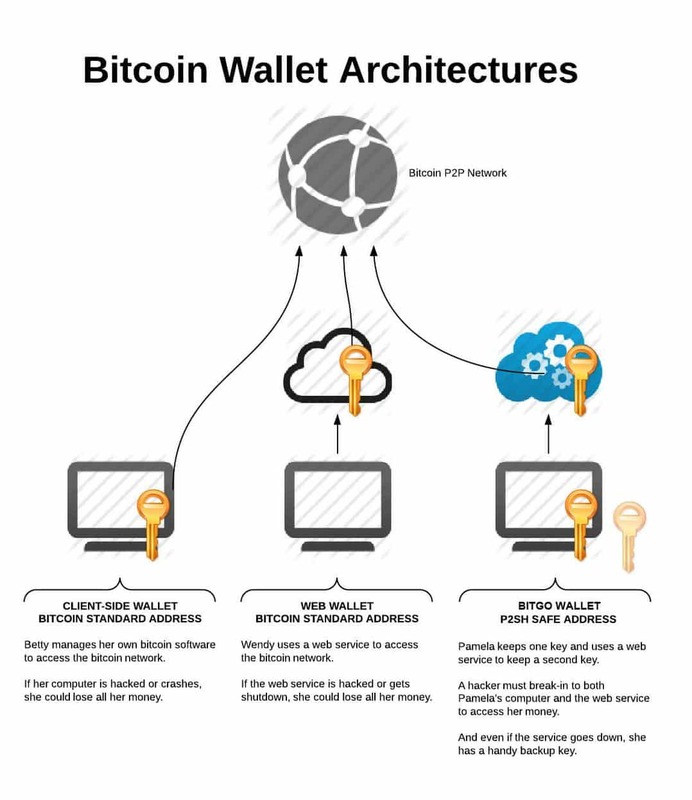 With this type of wallet architecture, there are three keys for any particular wallet and it takes two of those keys to access the funds. This prevents the coins from being stolen by hackers or bad actors within the company, and also takes the burden of security off regular users who don’t necessarily know how cold storage or encryption work. 1. Storing coins locally, which can entail complicated security measures necessary to prevent hackers. Some wallets are also fairly complicated, increasing the risk that a user can make a mistake and lose their own money. 2. Storing coins in an online web wallet, which requires trust that the third-party is responsible and has all the necessary security on their end. Because the private key is stored on a third-party server, it’s extremely vulnerable to hacking and company missteps. Multi-signature wallets take the second option and considerably beef up the security. Trust in the third-party is unnecessary because they only have one key to the funds, and cannot touch the money even if coerced by a hostile attacker. Funds can only be spent when two out of three keys agree on the transaction. The above graphic illustrates this dynamic well. Multi-signature security eliminates the vulnerability of any one point, making Bitcoin storage less of a high-stakes game than it has been in the past. This is the principal innovation of BitGo, and it explains why the company is getting financial backing from venture capitalists. Most smart business people realize that cryptocurrencies are here to stay and have plenty of room to grow, but it’s still unclear exactly which Bitcoin-related businesses will succeed in bringing the digital currency mainstream. Now that BitGo has built a nice website and basic functionality around its multi-sig web wallet, venture capital investors are placing their bets — and they’re betting big on BitGo. The rest of the funding was provided by existing investors who are backing BitGo again: Bridgescale Partners, Bill Lee, Eric Hahn and Jeff Skoll. Clearly, many influential players in the Bitcoin industry have faith in BitGo’s potential, and their faith is being communicated by the exchange of millions of dollars. In the eyes of the people who helped make BitPay and Coinbase successful, BitGo is essentially being christened as the next generation Bitcoin wallet, which is both secure and convenient. If BitGo makes it easy to protect Bitcoins with multi-signature security, then that innovation alone might be worth $12 million. The Bitcoin ecosystem is in dire need of a solid multi-sig implementation. BitGo thinks it can provide that service — and influential venture firms agree. BitGo’s mission is to secure the world’s Bitcoin. By solving Bitcoin’s early security concerns for our customers and industry partners, BitGo is excited to help the Bitcoin industry grow with what we believe will be a speed and scale comparable to the Internet itself. and beocme a millionaire myself! :) any help?